January 24, 2013 | David S. Maldow, Esq. B2B (or business to business) videoconferencing has been a problem in search of a solution, a thorn in the side of the industry, ever since the first two companies owning video equipment realized they couldn't easily call each other. The hurdles are numerous and challenging. For example, there are basic interoperability issues between VC systems, security / firewall issues, and issues with dialing / call routing. 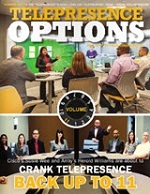 We will soon be taking a deep look at the history and current state of B2B VC in the upcoming 2013 edition of the Telepresence Options print magazine, but for now we wanted to take a quick look at one group working to solve the problem today, the Open Visual Communications Consortium (OVCC). We spoke with OVCC Vice President, John Poole, to get a little background on the OVCC, its current status, and future roadmap. The OVCC is a non-profit organization comprised of world leading videoconferencing providers. The OVCC's mission is simple. We can't expect ubiquitous videoconferencing, and viral adoption, until VC is as easy as making a phone call. Phone calls are easy because the big phone providers all follow longstanding agreements and policies on how to make connections between their customers. The ultimate answer to the B2B problem is to convince the service providers already carrying our videoconferencing traffic today, to work together on similar policies and agreements that will allow their videoconferencing customers connect just as easily as their phone customers. The OVCC originally incorporated in August 2011 and within its first year grew from the original 10 founding members, to over 30 key industry players. When OVCC was created, there were some concerns that if certain key organizations refused to join, it could not fully achieve its purpose. It should be made clear that this is no longer a concern as their membership has surpassed critical mass and includes the heavyweight players required to make this work. If you currently use VC services, your provider is probably in the OVCC, and soon you may have improved videoconferencing connectivity as a result of their work. We asked John why this problem is so tricky, and why it has taken the industry so long to solve it. John's "day-job" is Sr. Director, Business Development, Global Cloud and Service Provider Solutions Group at Polycom. As part of that role, he has been immersed in the issues surrounding B2B videoconferencing, which led to his non-profit role at the OVCC. We discussed the historic interoperability and policy barriers to B2B, but more importantly, John noted a general feeling in the industry that I think of as the "waiting for superman" or the "someone else's problem" phenomena. B2B video is such a massive and challenging problem, that we all just expect someone bigger than us to come along and solve it. Logically, that "someone else" had to be the carriers. The industry desperately needed for the leading providers to come together in a neutral setting to start agreeing on simple policies to allow for ubiquitous global videoconferencing. That is the basic mission of the OVCC. The OVCC is often mistaken as a technology standards organization, similar to the JCT-VC which is currently working on the H.265 protocol. This is an understandable mistake, but a mistake nonetheless. The OVCC will not be publishing any protocols. The OVCC's work is more about policy agreements than technology advances. These agreements are focused on making B2B videoconferencing as simple as B2B telephony. For example, think of a typical large internal telephony solution that requires users to push 9 to dial outside of the office. What exactly happens when you hit 9? After hitting 9, how is a connection made between your service provider and your destination's service provider? In the telephony world, all of this is subject to long standing, historic agreements between telephony providers. 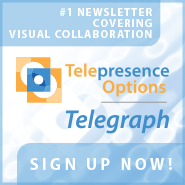 OVCC is creating a similar agreement structure for videoconferencing providers. The OVCC started off as a "top down" movement, but has quickly gained grassroots support. For example, organizations are starting to include OVCC criteria in their RFPs. The fact that users themselves are requesting OVCC compliance is validation that these policies do, in fact, meet user needs and provide direct user benefits. So, what exactly are these policies? 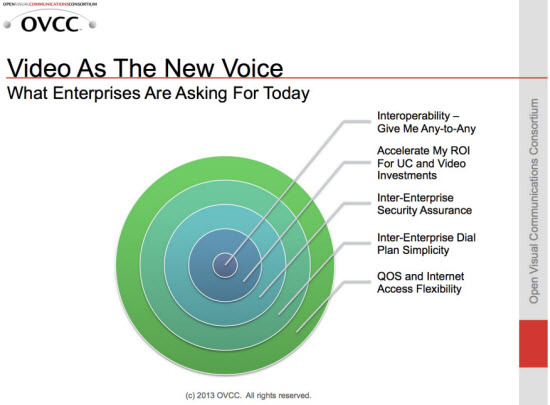 How exactly does OVCC envision the future of B2B videoconferencing? OVCC is laying out a two phase process involving two separate B2B strategies. While the world wonders if video exchanges or cloud services (meet me rooms) are the best answer to B2B, the OVCC is going full bore with both approaches. A truly universal video exchange is the ultimate dream. Every videoconferencing system will someday have a universal number that can be dialed from any other videoconferencing system, just the way phone systems work today. OVCC members are working towards that dream and working on policies to leverage the existing exchange islands. A "video dial tone" will happen, but it will take a bit more time. Meanwhile, OVCC has been able to move much faster on the "meet me" front. A recent press release noted that 6 OVCC members (AT&T, BCS Global, Airtel, BT, Glowpoint, and Orange) developed an OVCC complaint interconnect network to support new OVCC compliant services. John confirmed that these new services are already being offered by some OVCC members. Previous failed attempts at ubiquitous B2B may temper our enthusiasm for actually solving the problem in the foreseeable future. However, in the last few years, the OVCC has made a decade's worth of progress on the B2B front and as a result, the fruits of the OVCC efforts are actually being implemented today by some of the world's largest service providers. This amount of progress in such a short period of time is "light speed" in this industry. It is amazing to think of the cut-throat competitors who comprise the OVCC working together in this way. But it makes perfect sense. Every time we remove a barrier to videoconferencing adoption, everyone in the industry benefits. The potential impact of the OVCC's efforts could be game changing and I will certainly be paying a lot closer attention as the group continues to move forward. We asked John why this problem is so tricky, and why it has taken the industry so long to solve it. 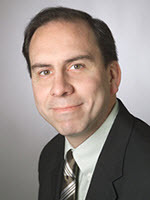 John's \"day-job\" is Sr. Director, Business Development, Global Cloud and Service Provider Solutions Group at Polycom. As part of that role, he has been immersed in the issues surrounding B2B videoconferencing, which led to his non-profit role at the OVCC. We discussed the historic interoperability and policy barriers to B2B, but more importantly, John noted a general feeling in the industry that I think of as the \"waiting for superman\" or the \"someone else's problem\" phenomena. B2B video is such a massive and challenging problem, that we all just expect someone bigger than us to come along and solve it. Logically, that \"someone else\" had to be the carriers. The industry desperately needed for the leading providers to come together in a neutral setting to start agreeing on simple policies to allow for ubiquitous global videoconferencing. That is the basic mission of the OVCC. The OVCC started off as a \"top down\" movement, but has quickly gained grassroots support. For example, organizations are starting to include OVCC criteria in their RFPs. The fact that users themselves are requesting OVCC compliance is validation that these policies do, in fact, meet user needs and provide direct user benefits. So, what exactly are these policies? How exactly does OVCC envision the future of B2B videoconferencing? OVCC is laying out a two phase process involving two separate B2B strategies. While the world wonders if video exchanges or cloud services (meet me rooms) are the best answer to B2B, the OVCC is going full bore with both approaches. A truly universal video exchange is the ultimate dream. Every videoconferencing system will someday have a universal number that can be dialed from any other videoconferencing system, just the way phone systems work today. OVCC members are working towards that dream and working on policies to leverage the existing exchange islands. A \"video dial tone\" will happen, but it will take a bit more time. Meanwhile, OVCC has been able to move much faster on the \"meet me\" front. A recent press release noted that 6 OVCC members (AT&T, BCS Global, Airtel, BT, Glowpoint, and Orange) developed an OVCC complaint interconnect network to support new OVCC compliant services. John confirmed that these new services are already being offered by some OVCC members. Previous failed attempts at ubiquitous B2B may temper our enthusiasm for actually solving the problem in the foreseeable future. However, in the last few years, the OVCC has made a decade's worth of progress on the B2B front and as a result, the fruits of the OVCC efforts are actually being implemented today by some of the world's largest service providers. This amount of progress in such a short period of time is \"light speed\" in this industry.